This is genuine YHB Glass Crystal, which is manufactured in China. The size is SS 8 (~2.5mm) and comes with original factory packing of 1,440 pcs per pack. The color is Crystal AB. This is genuine YHB Glass Crystal, which is manufactured in China. 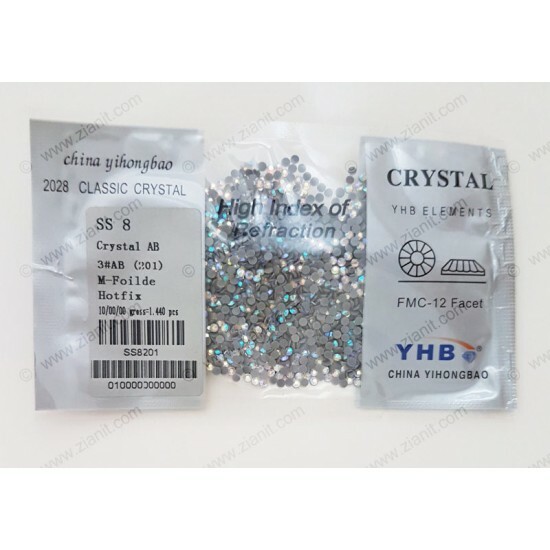 The size is SS 6 (~2mm) and comes with original factory packing of 1,440 pcs per pa..